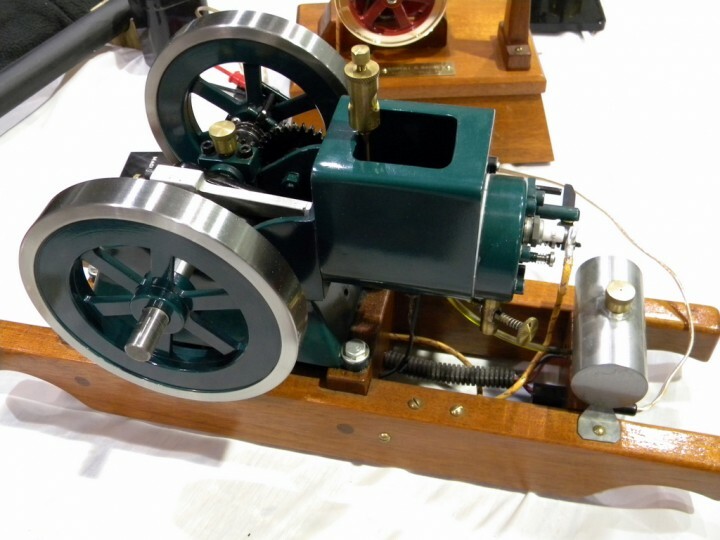 This beautiful hit & miss engine was built by Robert Bahney of Elizabethville, PA, from Harold Depenbusch plans. I was surprised to find it does not use castings. Instead it’s constructed using barstock and sheetmetal. This beautiful 1/2-scale Case steam tractor was built by Clifford Foster of Sagaponack,N.Y., and “an invaluable group of friends.” The full-size tractors are humongous and this “model” was bigger than most cars. 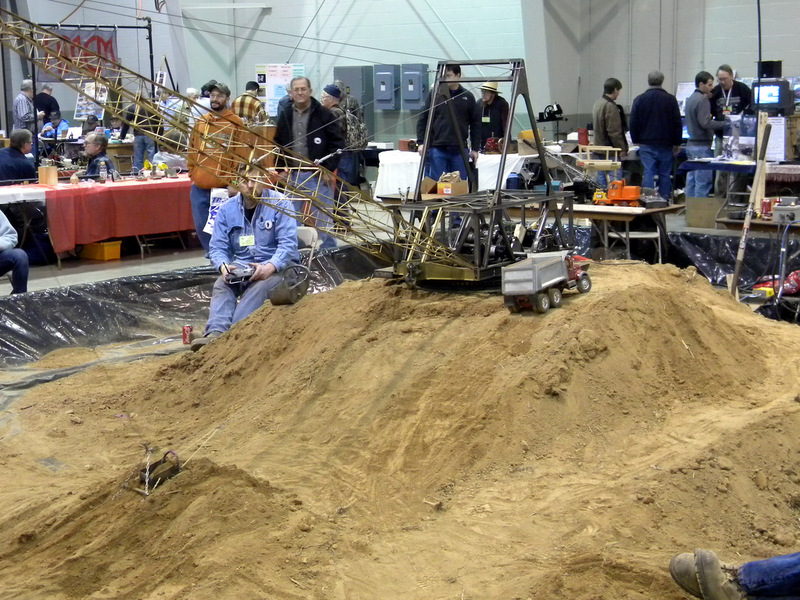 A dragline excavator and radio controlled dump trunk. The dirt pile was a new addition to the Cabin Fever Expo in 2011. 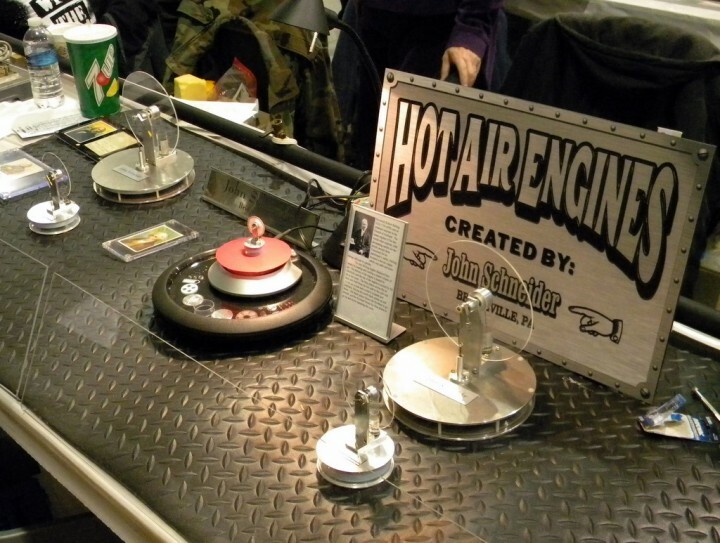 Some of John Schneider’s LTD Stirling engines. The tiny one in the middle is award winning and an impressive engineering achievement. 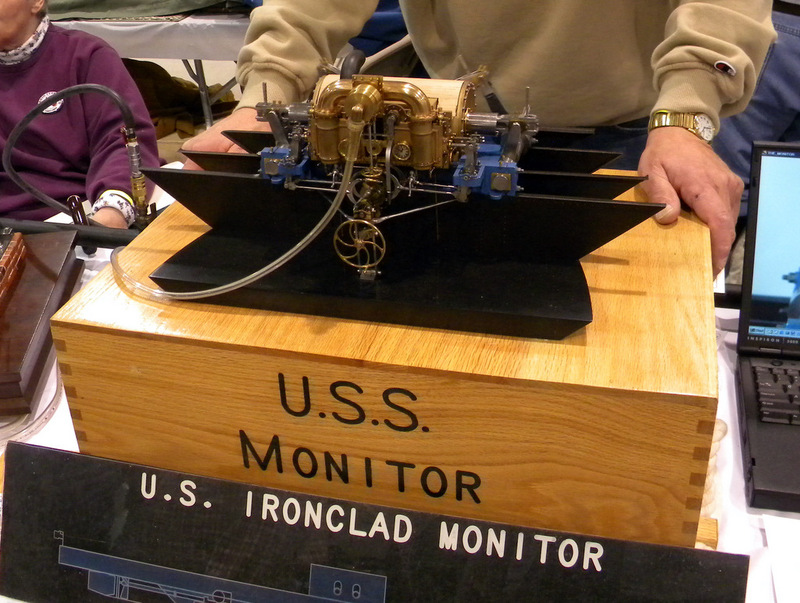 It sits on a display showing its individual parts. 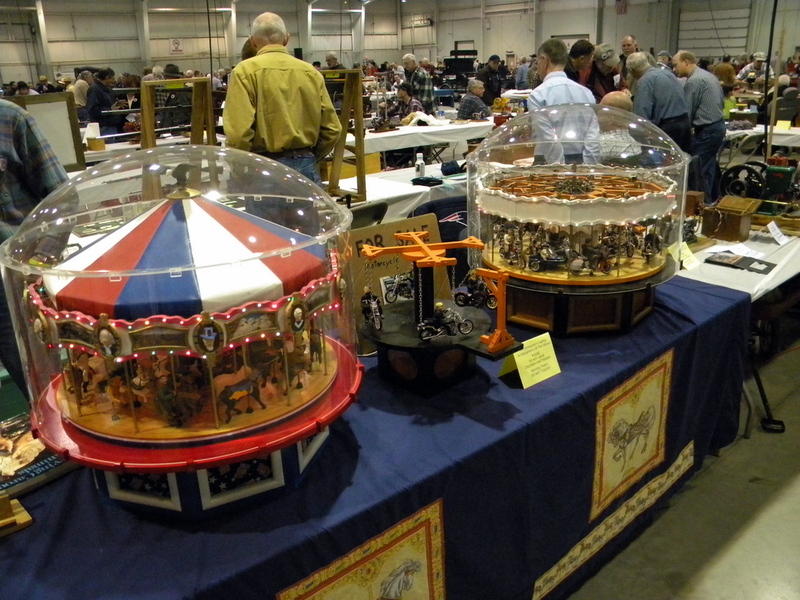 This is part of the Miniature Carousel Builders Club’s large display. 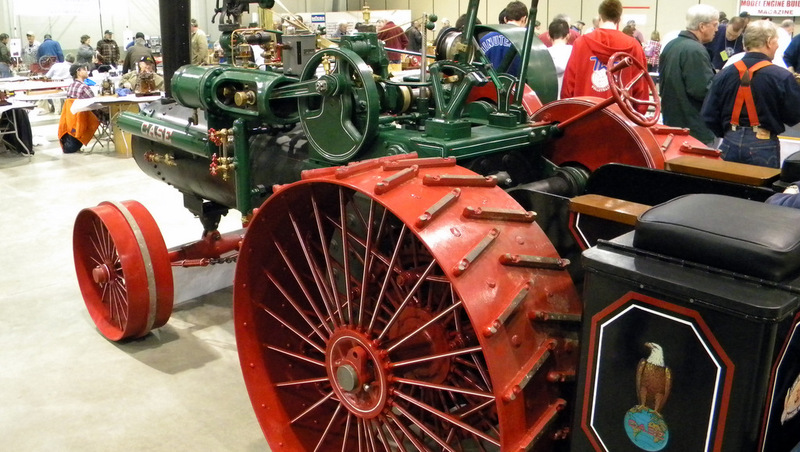 They’re located in south central Pennsylvania but they have members all over the world.